These two icons, their early careers inextricably intertwined, created the soundtrack of the 1960s protest era. From “Blowin’ in the Wind,” to “I Ain’t a Marching Anymore,” these two extraordinary singer/songwriters created an emotionally potent bridge between protest and art. 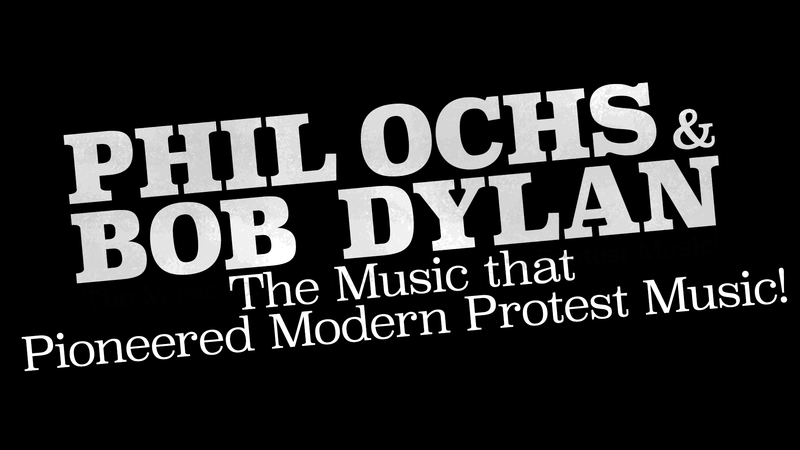 While Bob Dylan survived to become a Nobel Prize Winner, Phil Ochs committed suicide — but not before creating a body of work that is as singularly thrilling as it is deeply moving. This special concert event honoring the contributions of both of these great artists to the protest movement will be created, written, directed, and hosted by Scott Siegel, a lifelong Phil Ochs fan, who also happens to have created more than 300 major concerts all over the world, including writing, directing, and producing concerts for Michael Feinstein, and creating, writing, directing, and hosting Town Hall’s signature series, Broadway by the Year, which begins its record-breaking 19th season in February, 2019. This tribute to Phil Ochs and Bob Dylan will feature a starry cast of major Broadway, nightclub, country, and folk music performers.